Who are you buying this gift for? Does she have a round, oval, heart-shaped, or square-shaped face? If she has a round or diamond-shaped face, elongate and emphasize her cheekbones with gold stud earrings set with princess-cut diamonds. For wider square or rectangular faces, a slightly rounded shape like the cushion-cut diamond gold stud earrings would be flattering. Round earrings with a halo setting (pictured above) complement narrower faces. For more shapes, check out our full guide on the best stud earrings for a person’s face. Metal Karat – 10K, 14K, 18K, or 24K Gold? 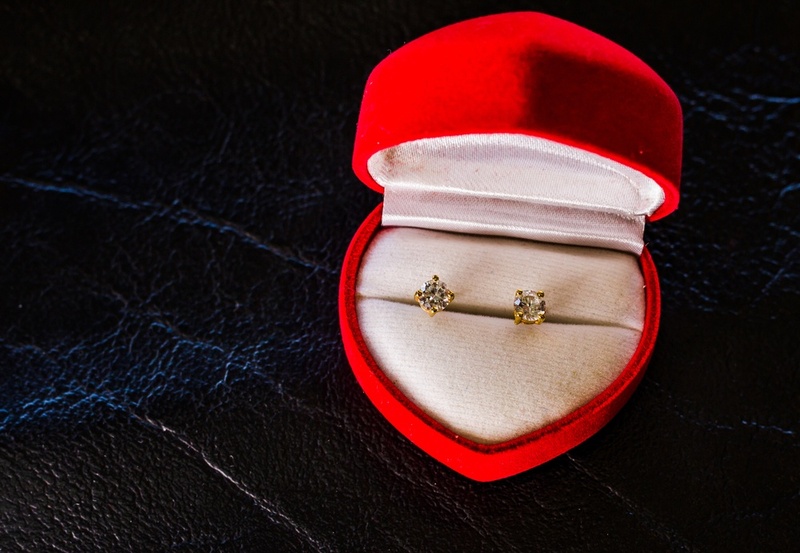 Keep your budget in mind when buying gold stud earrings as a gift. The higher the karat of gold, the more expensive the jewelry will be. If you want to stay within a low budget, look for gold stud earrings that are made with 14K gold. This means the earrings are made out of 58.3% pure gold, so they will be less expensive than 18K gold earrings, which are made out of 75% pure gold. Also, the more gold in a setting, the softer and more vulnerable the earrings will be, making 14K gold often preferable. But the higher gold content also makes for a richer yellow hue, giving the gold stud earrings more character with 18K gold. Because 24K gold is pure gold, it is not suggested for wear in jewelry. On the other hand, 10K gold is less than 50% pure gold, meaning it has a higher content of base metals in the alloy and can aggravate metal allergies. Even though the appeal of pure gold or the price of 10K might have its draws, neither of these will make for good quality gold stud earrings. The setting of your gold stud earring has a huge impact on its appearance. The traditional and most common setting is a four-prong setting, which appropriately protects most diamond shapes, especially princess-cut diamonds with their sharp corners. There are other options, however, particularly for the more versatile round cut. 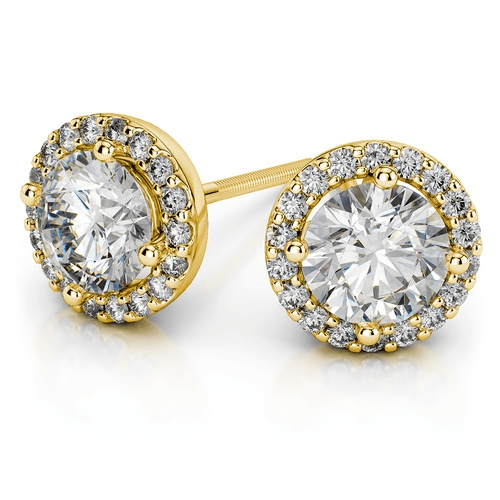 Three-prong gold stud earrings allow more light to enter the diamond, making for a much more brilliant appearance. Three prong settings also work well for pear and heart shape diamonds. Three prongs, however, offer less protection. If protection is what you are after, choose a bezel setting, which completely surrounds the diamond. Less light will reach the diamond, but the diamond will be completely protected from chips, breaks, and fractures. It’s also less likely to snag on hair or clothing. There are three different types of gold to choose from: white, yellow, and rose. How should you choose which color is right for the recipient of the gift? Pay attention to the other jewelry that she wears to see if she prefers one color over the others. 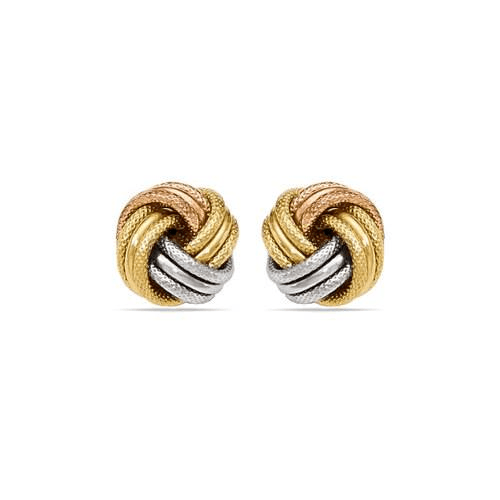 Most women like to match their earrings to the rest of their jewelry, so if she primarily has yellow gold jewelry, stick to yellow gold for the earrings, too. When in doubt, make this decision based on the person’s skin tone. Every shade of gold works well on darker skin tones, but white metal is the best choice for lighter skin. Different occasions may call for different styles. 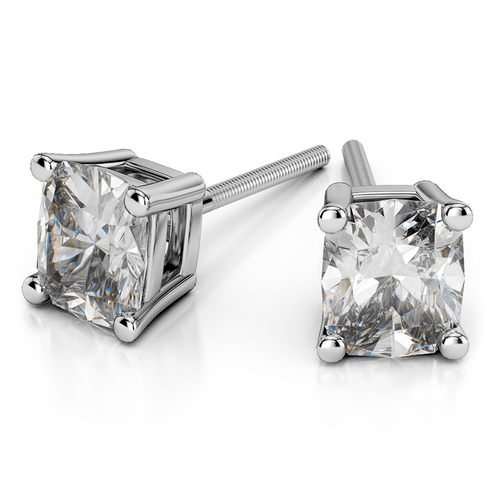 If you’re buying earrings for an anniversary gift, consider a romantic style with women’s gemstone stud earrings. Rubies are a traditional gift for a 15th and 40th anniversary, while the color pink and sapphire gemstones are associated with a 5th anniversary. These polished Cross studs are great for religious occasions, and simpler styles such as these ball stud earrings work well for birthdays and graduations. 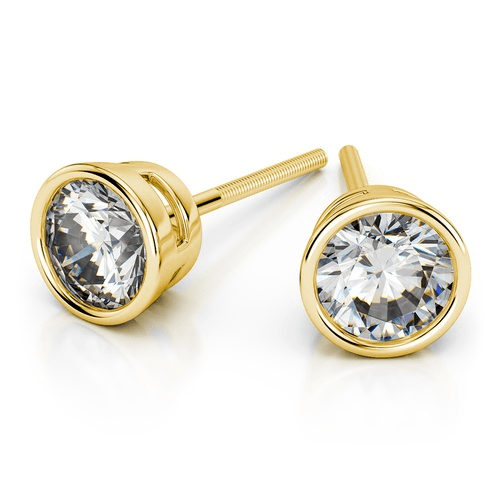 Above all else, keep the recipient’s personal style in mind when choosing the perfect pair of gold stud earrings. A certain pair of earrings may immediately jump out at you and remind you of the recipient. If this happens, then you’ve definitely found the perfect pair!